This was an appeal from a ruling by Ouseley J (  EWHC 3635) that a church of the Church of Scientology could not be recordable as a “place of meeting for religious worship”. The following summary is taken from the Supreme Court’s press release. A full analysis of the case will follow shortly. The first appellant, Ms Hodkin, is engaged to be married to a Mr Calcioli. They are members of the Church of Scientology and seek to be married in its premises on Queen Victoria Street, London. The second appellant is the proprietor of that church. On 31 May 2011 a trustee of that church applied on behalf of the congregation to record the church under section 2 of the Places of Worship Registration Act 1855 (“PWRA”). This statute provides that every “place of meeting for religious worship” may be certified to the Registrar General, who will cause that place of meeting to be recorded as such a place. Recording under PWRA then entitles the building to be registered for the solemnisation of marriages under the Marriage Act 1949, which in turn enables the building to be used for marriage according to the “form and ceremony” chosen by the marrying couple. The Registrar General of Births, Deaths and Marriages stated that she was bound by the Court of Appeal’s 1970 judgment in R v Registrar General, ex parte Segerdal  2 QB 697 (“Segerdal”) to reject the appellants’ application. In that case, which involved an earlier attempt by the Church of Scientology to record a chapel under PWRA, the Court of Appeal had held that Scientology did not involve “religious worship” since it did not involve “reverence or veneration of God or of a Supreme Being”, but rather instruction in a philosophy. The appellants judicially reviewed the Registrar-General’s decision. In the High Court, Ouseley J held that he was bound by Segerdal to dismiss the appellants’ judicial review claim. 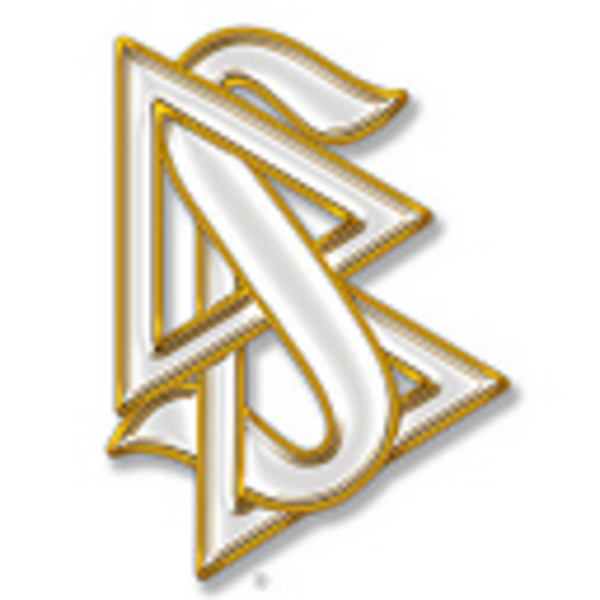 He concluded on the evidence that Scientology was a religion, but that the Segerdal definition of “religious worship” remained unfulfilled, since there had been no essential change in the nature and practices of Scientology since 1970. Since Segerdal would be binding at Court of Appeal level also, Ouseley J certified a point of law of general public importance for a “leapfrog” appeal directly to the Supreme Court. The appellants appealed. The Registrar General has a decision-making function in recording premises as “places of meeting for religious worship” [26, 66f]. Historically, such recording had originally been instituted to enable some non-conformist churches to avoid criminal penalties directed at non-Church of England worship . As a result, recording under those statutes was simply an administrative matter . However, the PWRA had significantly changed the language and purpose of the requirement . Properly construed, s. 2 PWRA gives the Registrar General a discretion to record, essentially for three reasons. Firstly, this is the natural meaning of the language used . Secondly, this is consistent with the Registrar General’s other functions under PWRA, which give her decision-making functions in relation to the renewal or cessation of use of recorded premises [77-79]. Thirdly, by the time that PWRA was enacted, the purpose of recording had altered: certification no longer only gave protection from criminal liability but also gave access to a number of privileges [79-82]. In considering whether the appellants’ church qualified for such recording, the first substantive question was whether Scientology was properly to be regarded as a religion. The interpretation of “religious worship” in Segerdal carried within it an implicit theistic definition of religion: what the Court of Appeal required was reverence for God . There has never been a universal legal definition of religion in English law, given the variety of world religions, changes in society, and the different legal contexts in which the issues arise. It was necessary for PWRA to be interpreted in accordance with contemporary understanding of religion [32-34]. Two judgments from other common law countries, one from the US Court of Appeals and one from the High Court of Australia, shed useful light on the issue [35-49]. The High Court correctly decided that Scientology was a religion . Religion should not be confined to faiths involving a supreme deity, since to do so would exclude Buddhism, Jainism, and others . Moreover, it would involve the court in difficult theological territory: Scientologists do believe in a supreme deity, but one of abstract and impersonal nature . It is not appropriate for the Registrar General or the courts to determine questions such as whether this belief constitutes a religion . In a different context, the Charities Act 2006 states that “religion” includes religions not involving belief in a god [54-55]. Religion could summarily be described as a belief system going beyond sensory perception or scientific data, held by a group of adherents, which claims to explain mankind’s place in the universe and relationship with the infinite, and to teach its adherents how they are to live their lives in conformity with the spiritual understanding associated with the belief system . On this approach to religion, Scientology was clearly a religion . The question that followed was whether the appellants’ church was a “place of meeting for religious worship”. “Religious worship” includes “religious services” as well as the Segerdal concept of veneration or adoration of a deity [61-62]. This accords with the purpose of the statute: the authorisation to marry in conformity with one’s faith should not depend on fine theological or liturgical niceties as to how believers see and express their relationship with the infinite . Since marriages on non-registered premises could not involve any form of “religious service”, if Scientologists were unable to marry in their church they could not have a legal marriage in accordance with their faith . Since the Church of Scientology held religious services, it follows that its church is a “place of meeting for religious worship”, and the Registrar General is ordered to record it as such . Scientology is not a religion it is a simple bait-and-switch con. In much the same way that people think that a pyramid scheme is a “great business opportunity”, this money-hungry cult makes you think you’re on a road to personal improvement. It is a total disgrace that the UK Supreme Court has given this destructive organisation an aura of respectability. And why do certain religions qualify for special (more favourable) treatment by HMRC: tax breaks? State/HMRC discrimination based on belief or rather lack of believing in mumbo jumbo. How does the UK justify this? We should do what the French do; insist that all marriages are before the Registrar, after which, any religious ceremony you like wherever you like. Ceremonies not before the Registrar could then, once and for all, be treated as non-marriages giving rise to no rights between the parties or against the State; no income-tax allowance, no concession in Inheritance Tax, no rights of inheritance, no claim (except I suppose as cohabitee – but I would abolish that too) under the Inheritance (Family Provision) Act 1975, no divorce, no nullity, no ancillary relief. Oh, and while we are about it; churches, chapels, mosques, synagogues, gurdwaras are approached by road and have dustbins, so they should pay business rates. All of them. This court decision was a given. Even in the sick Britain Tony Blair carefully constructed, Freedom of Conscience is an absolute Right of all Britons, and is still considered one of Britain’s crowning glories in the field of Human Rights. Despite the vile propaganda in the mainstream media claiming that Britain declared Scientology an ‘official’ religion, unlike nations without the right of freedom of conscience, Britain does NOT recognise the concept of ‘official’ religions (the idea of ‘tax exempt status’ is not the same thing at all). Britain invented modern Freedom of Conscience, and Canada, Australia and the USA inherit this right. Notably, nations like Germany, Italy and France specifically DENY their citizens the right of Freedom of Conscience, so persecution of citizens of these nations, purely because of religious activity or spiritual beliefs, is legally permissible even if it currently happens rarely. It is also notable that it is government policy in the UK and USA that the right of Freedom of Conscience is NOT explained or promoted in ordinary schools- so this fundamental Right actually surprises most citizens of these nations, when a news story like this one occurs. The response of every American and Brit to this story should have been “of course the couple can marry this way, because freedom of Conscience means the State, by definition, cannot discriminate against any form of spiritual belief held by an individual, or practised by a collective”. So, why does even this site pretend that the court ruling was surprising? It is a terrible thing to see the way in which religion is so persecuted in this country, is it not? My sole objection to this ruling is that this will allow scientology to claim to be a charitable endeavour, whereas everyone knows it is just another business set up by its founder to make him rich – which it did. I don’t care what scientologists believe in or not; I just do not see why they should be allowed tax breaks when other businesses do not get them. I – along with everyone else – pay taxes while the scientologists do not. How right is that? On another matter: Congratulations on getting your web site problems resolved. The riches amassed by Hubbard and Miscavige pale beside those in the Vatican.